See the lights, hear the sounds, and experience the magic of the holiday season in Parker. Here are a few of the season’s local traditions to enjoy. The 2017 Christmas Carriage Parade is a festive event each year in Parker. It will offer games, ice sculptures, a petting zoo, treats, crafts, holiday carolers, plenty of food, and pictures with Santa! Be sure to come out and enjoy the new expanded route on Saturday, December 9th. Although this is his busy season, Santa has carved out time in his schedule to meet with you and discuss the status of naughty and nice activities this year, as well as any (ahem) present requests. 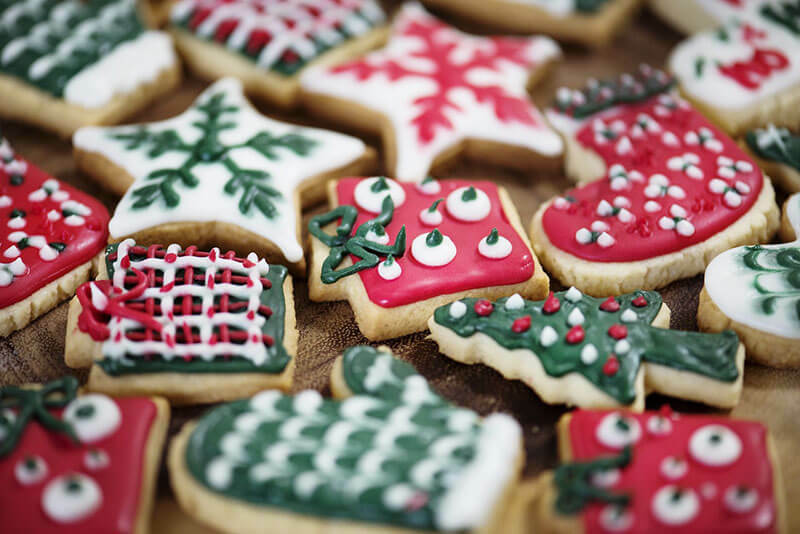 Have milk and cookies with Santa on Sunday, December 10th. Register now – he’s a popular guy and space at this special event is limited. Drop by Honeywood Home for an old fashioned Christmas tea from 10-5 on December 16th. Enjoy fresh teas, cookies, and other finger foods; they will also be presenting an historic speaker at 2:00 p.m. Also, if you find yourself rushing around to buy those last minute gifts, check out their first annual Procrastinator’s Late Night Shopping Event on December 22nd. Don’t miss The Nutcracker. The Summit Dance Committee offers special showtimes on December 19th and 20th at PACE. Last but not least, why not stroll through downtown Parker and simply enjoy the lights and decorations? The city streets are beautiful and there are plenty of shopping and dining options for the whole family. Pradera residents can check out the top 5 family restaurants while out and about this holiday season. Want to escape the hustle and bustle for a bit? The winter months offer opportunities to explore and see a whole new side of Colorado’s nature.